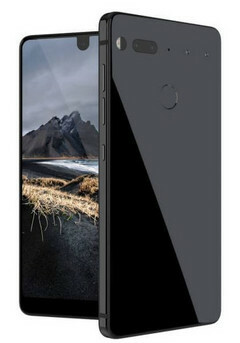 Although many people are waiting for Andy Rubin's phone and most of them might not want to be tied to a certain carrier, it looks like the Essential Phone is headed for the US as a Sprint-exclusive. Andy Rubin's first smartphone promises to offer a few tempting highlights for those not finding any of today's flagships able to suit their needs. However, it looks like the Essential Phone will have a major flaw, at least in the US - carrier exclusivity. According to Essential President Niccolo de Masi, who spoke to USA Today, Sprint is "the network of the future" in the US. "We like to bet where we think the market is going as opposed to where the market was. I feel like we are a new brand and a new consumer electronics company and we are partnering with the network of the future," he said. However, Sprint is currently the fourth carrier in the US by subscribers, behind Verizon Wireless, AT&T, and T-Mobile. Those interested to get the unlocked phone will be able to do so via Essential's website for $699 USD. The 360 camera accessory will have a price tag of $50 USD. Sprint still has to announce its own pricing. The handset is expected to arrive on the market by the end of August.